Art X is a private marketplace that makes it easier for collectors to buy and sell art, by eliminating many of the fees typically associated with art sales and speeding up the entire process. The traditional process of buying and selling art is slow and rife with fees. Selling through a gallery can sometimes take years. Auctions are faster, but the fees can be as high as 25%. ArtX has no fees for sellers and buyers pay 6%, well below the cost of galleries and auctions. 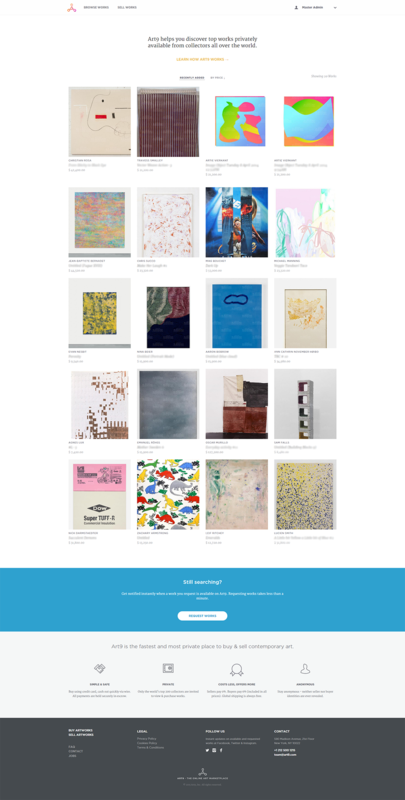 To enable this functionality, ArtX has a custom CMS for sellers to list their pieces. 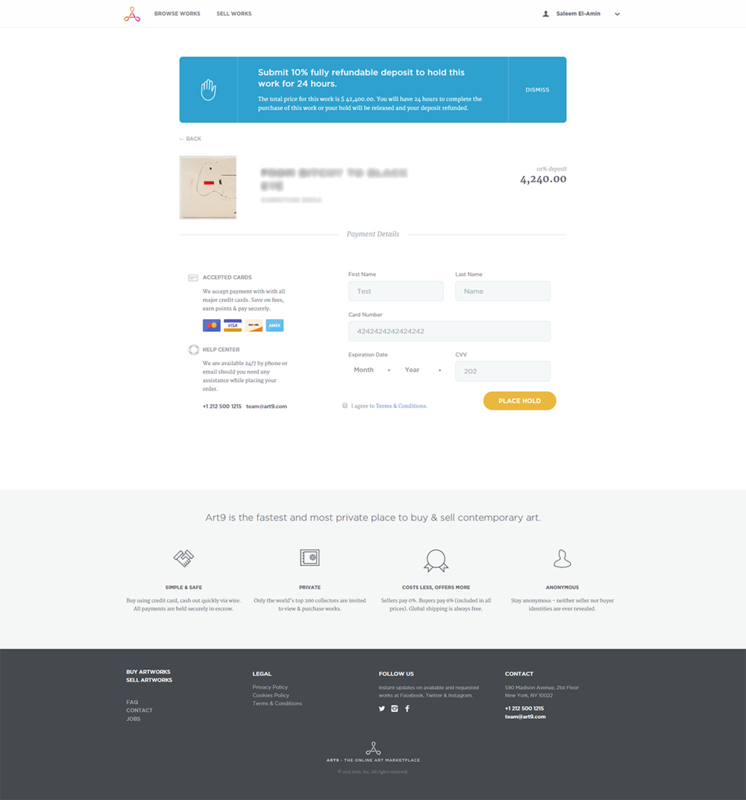 It also has identity verification, anonymous sales and purchases, custom watermarking, and integrated payments. ArtX was founded by Carlos Rivera, a premier figure in the world of fine art and a serial entrepreneur. He is also the founder of ArtRank a company that provides data driven recommendations about buying and selling, and Levart a company that allows collectors to take out loans using their pieces as collateral. The first stage of this project was validation of the idea, which was accomplished by building a prototype in the first three weeks. Once the idea was validated we continued to build out the final product based on the unique needs of art collectors. Identity verification is an important component of trust, so it was built into the marketplace using BlockScore, with additional manual verifications of all applications before access is granted to the marketplace. Sellers also have concerns about unauthorized circulation of images of their pieces. To solve this issue, I created a process that digitally encode each image of each piece with identifying information about the user viewing the image. That way, if any images are circulated, it will be immediately obvious who released the image and appropriate action can be taken. Art buyers also require the ability to perform due diligence before completing a sale. To facilitate this due diligence, I created a process that allows a buyer to put a piece on hold for 24 hours using a fully refundable 10% deposit. This gives the buyer time to perform due diligence on the piece and communicate anonymously with the buyer before completing the purchase. ArtX is the first platform of it's kind, with technology that creates trust and securely processes payments without revealing information about buyers and sellers. 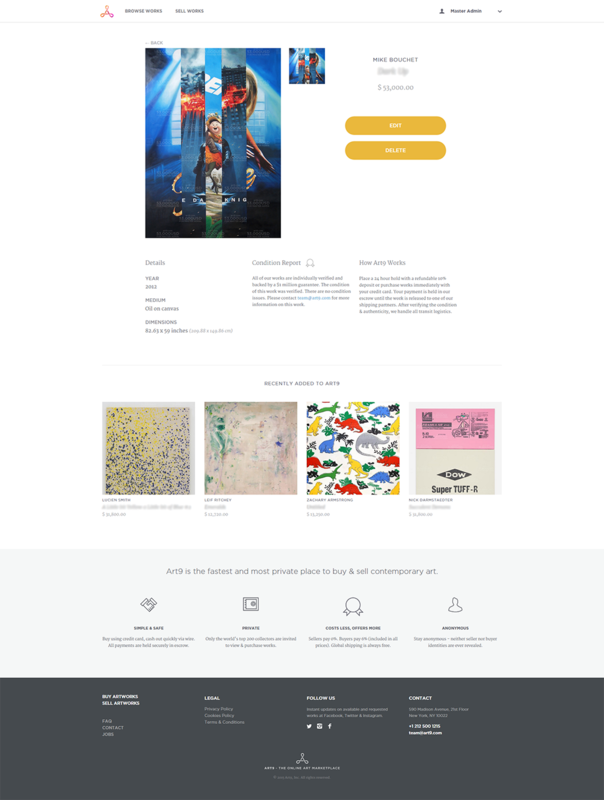 Because of the built in identity verification features, creating a seller account is a quick process, and once completed, Art X makes it easy to list pieces for sale. Buyers can browse, make offers on pieces their interested in, pay a deposit, perform due diligence, and complete their purchase, all from within the site. The custom digital watermarking helps protect sellers from having their works distributed without permission. Deposits and payments can be made directly on the site using the buyer's credit card.